“There are times when I can’t help thinking about the past. I know the present is the place to be. It’s always been the place to be. I know I’ve been recommended by very wise people to stay in the present as much as possible, but the past sometimes presents itself. The past doesn’t come as a whole. It always comes in parts. When Sam Shepard died in July 2017, I wrote about what a strong influence his writing has been for me through the years. 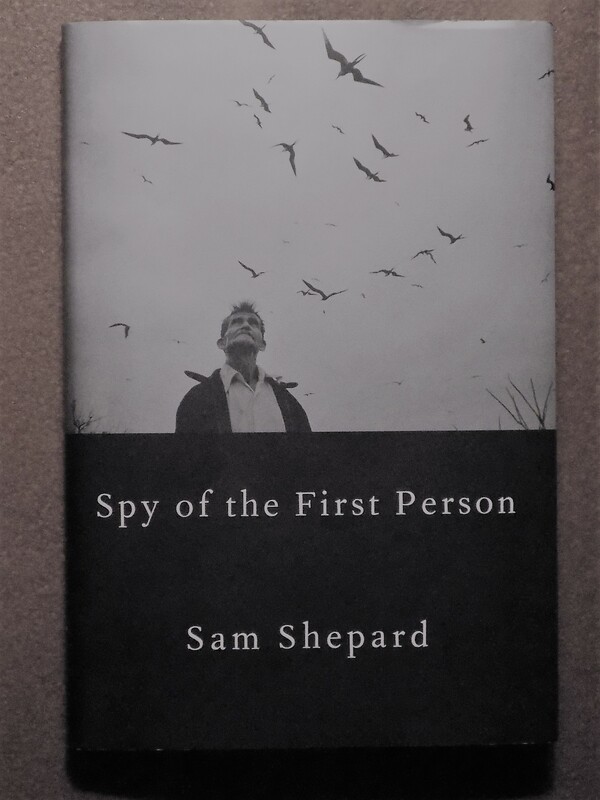 His final work, Spy of the First Person (Penguin Random House, 2017), is an undeniably autobiographical work of “fiction” written by Sam Shepard in his final year as he suffered from ALS. The book is a labor of community and love. When Shepard began the book, he could still write. As his motor skills weakened, his children and sisters devised ways to help him keep the work going – recording devices, transcription, dictation. Shepard’s long-time friend and erstwhile collaborator Patti Smith assisted the writer in editing the book into final shape. Shepard’s involvement in the book continued until his death; he even chose the haunting cover photograph for the publication – a Graciela Iturbide photograph of a weathered man looking up at birds flying overhead. When Shepard died, his children took the book to fruition and publication. The triumphant result is a book that reminds us what a masterful writer Shepard is and how masterful he remained until the end. In a touching twist, the book is dedicated to the writer by his children. The book’s first-person narration is a duality of the observer and the observed. An unnamed man watches a sick man on a screened porch across the street, musing on the man’s situation and the events he can make out through the screen. The sick man, aware of being watched, becomes alternately paranoid and reflective as his memory travels far into his past – and childhood and youthful experiences become juxtaposed with visits to medical clinics. The narrative consciousness of nature around us is strong and vivid, with detailed descriptions of landscapes and wildlife – particularly birds. One is reminded of playwright Shepard’s skill with monologues and all of the memorable moments he gave his characters in raw and mind-bending dramas spanning decades. The narrative flow between the two voices is fluid and we lose track of which speaker’s voice we are reading. That is fitting as it becomes clear that the narrative voices are almost certainly of the same man, pondering his sickness and observing his physical degradation with a still sharp brain. Spy of the First Person culminates with a celebratory dinner at a Mexican restaurant teeming with “a lot of noise and a lot more tequila.” The sick man is surrounded by his children, his sisters, and friends. In these final pages the man reveals the names of the people around him – Jesse and Walker – his sons; his daughter, Hannah; Roxanne and Sandy – his sisters. The names are the same as Sam Shepard’s children and sisters. 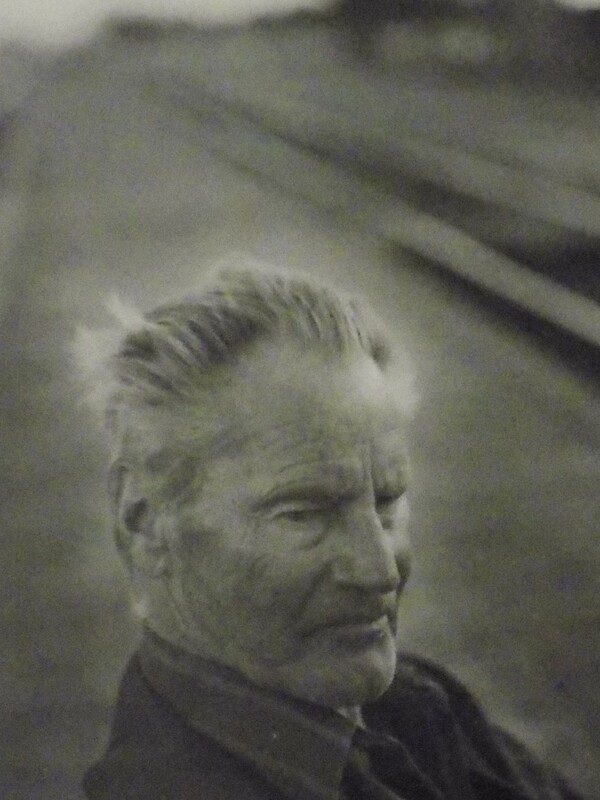 Sam Shepard the man is gone but Sam Shepard the artist lives on in a body of work that had majesty and resonance to the very end. This entry was posted in Sam Shepard and tagged American literature, American playwright Sam Shepard, Graciela Iturbide, Grant Delin, Patti Smith, Sam Shepard, Sam Shepard's family, Spy of the First Person by Sam Shepard on February 3, 2018 by gedwardjourney.